What Is An Online Financial Planner? Put both of together and you have a problem so complex it will rival the complex science equations sprouted by Sheldon Cooper on the Big Bang Theory. A recent study by the Financial Planning Association (FPA) stated that 68% of parents are reluctant to talk to their kids about money. I think it is because we aren’t comfortable talking about money to other adults, so we aren’t comfortable talking to our kids about money too. Often, I also find when parents are not comfortable with their own financial situation, they feel they are not qualified to talk to their children about their finances. I am not a parent (yet). However, I was lucky to be raised in a household that did talk about money. Both of my parents are/were teachers who both taught on this subject. My mum ran a very popular “Entrepreneurs Program” in Primary School using monopoly money while Dad ran a similar program in secondary school with real money. When I am fortunate enough to have children, there are 5 things that I want to pass on to my children about money. I was lucky enough to receive a bit of pocket money as a child. However, I also received extra money if I helped out on the farm. The more work I did, the more money I got. This taught me that money is not given out freely, there is a link between reward and effort. I have seen so many times kids who have been spoilt with the iTHIS and iTHAT and have more gadgets than a Harvey Norman store. Unfortunately, these kids rarely succeed in life because they are used to being spoon fed and “mummy and daddy pay for everything”. The worse example I have witness was a 21 year old girl who proudly stated she brought her first home for $600,000. It took a little bit of digging to find out that her parents gave her a $300,000 deposit. Make your kids hungry for money. Make them earn the gadgets and toys they want. Further to the previous point, we are raising a generation who don’t understand the word NO! On one hand this is a great thing. We have a generation who is used to asking for what they want and if someone says no, find someone who says yes. This is a great trait to have which can help to build not just financial wealth but wealth in all areas of life. However, it can also be a major cause of financial strife as well. As a child, I was taught if I didn’t have the money for something, I couldn’t buy it. Credit cards and “loans” or “gifts’ from Mum and Dad were not an option. 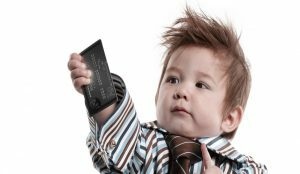 Unfortunately about half of adults are wired to say if they don’t have the money for something, just put in on the credit card. This cycle repeats until the credit card says no and the bank tries to reclaim the debts outstanding. According to the ABC as of June 2018, Australians owe $45 billion in credit card debt. While that number is coming down (it was $60 billion five years ago) we still have a lot of people who are living the life now but will suffer in the long term. Don’t give your kids handouts. Make them earn what they want. They will appreciate and thank you for it. On the flipside, you can use debt to create great wealth as well. It is important to understand the difference. There is so much opportunity out there to build financial wealth. We have more opportunities to invest and to earn an income the hardest part is picking one. However, what I (and others who are Money Masters) see as opportunities, others see as threats. As an example, most people think it is a threat that employment is no longer classified as “stable”. I see this as an opportunity that employment is now so “flexible”. We no longer have to work a 9 to 5. We can work on nights and weekends if that suits our lifestyles. We can work a 6 till 3 or a 1 till 10. We can work from home for a company based on the opposite side of the world. The opportunities are endless, why can’t others see this? We can set up a business which makes us money while we sleep. Let your kids go door to door selling chocolates. Encourage your kids to sell ice creams on the beach during summer. Let your kids start their own lawn mowing business or selling stuff on eBay. There are so many opportunities to make money and live the lifestyle that you dream of. You just have to think outside the box and encourage your kids to do the same. According to the FPA, approximately 62% of Australian parents believe their kids will be financially worse off than them. This is scary and sad at the same time. Most people don’t understand how to invest. Most people don’t understand what superannuation is or how shares work. Most people don’t understand what a good property investment is and what a bad one is. This is the kind of stuff that doesn’t get taught in schools. But it is crucial to ensuring that you will have a prosperous financial future. My kids will play monopoly. They will read Rich Dad Poor Dad. They will watch Wall Street. And they will understand that you don’t have to necessary work hard in order to create wealth. You just have to work smarter. The apple never falls far from the tree. We pick up so much from our parents it is scary. All of my habits, both good and bad, I can attribute to one or both of my parents. My parents talked about money openly to us as children. We knew when things were financially good and we knew when things were financially bad. My soon-to-be wife and I talk about money. We talk about the opportunities to grow our wealth and how we can use us to bless those around us. We talked a lot about whether I should be self-employed or not and how that will impact our finances. We are comfortable talking about money. If you are able to comfortably talk about money to each other then you will be comfortable talking about money to your kids as well. It doesn’t need to be complicated. But it does have to start with you. If this is a topic that you would like to discuss in more detail, please go to www.MasterYourMoneyNow.com.au/getstarted to book in your complimentary 30 minute strategy session. Liked this article? Share it with your family, friends and work colleagues! Disclaimer: This information is general information only. You should consider the appropriateness of this information with regards to your objectives, financial situation and needs. Past performance does not guarantee future returns.